After surprising losses for the gold market, there are experts and insiders that bet on the precious metal. While the performance after Trump’s victory wasn’t quite rational, gold is expected to gain value steadily after president-elect takes the White House next year. Regarding this matter, Randgold Resources CEO Mark Bristow believes in a bright future for the precious metal. While this is highly convenient for him, of course, he provided a few interesting, totally realistic insights and arguments about how this could be possible during the upcoming months during his recent interview on CNBC’s Mad Money. According to Mr. Bristow, Trump’s economic policies are focused on cutting tax significantly and massive infrastructure and military spending, which can easily translate into the government borrowing huge amounts of money. When a government borrows money in an accelerated, aggressive pace, the whole economy tends to lean forward, stimulating inflation at the same time. If we analyze Donald Trump’s speech about upcoming changes, it’s rational to expect inflation to rise. If inflation rises, the most normal thing in the world is backing up the currency with gold, either physical or futures. As the CEO of one of the biggest gold mining companies in the world, Mr. Bristow has a huge interest in this happening. “There are a lot of things impacting gold at the moment. I have always said that gold will be very volatile for the next two or three quarters, but ultimately the fundamentals are very strong for a rise in gold price,” said Mr. Bristow during the interview. After the best year for gold in decades, all the recent events could lead an even higher hike in prices. The whole Forex market could be losing strength if Trump goes too radical on both domestic and foreign policies, now focused on trade with China and Latin America. What Is Supporting this Statement? Yes, the CEO of a big gold mining company said that the precious metal is going up. There is no surprise here. But, there is something backing up this argument? Let’s check out what happened and what is going to. A few months back, the Brexit took place. After defeating what most experts thought, Great Britain left the European Union, throwing away many favorable policies in favor of a nationalistic sentiment. This had a big impact on the currency, helping gold to go up. After a couple of weeks, the economy got back on its feet, restoring more or less both Pound and Euro stability. 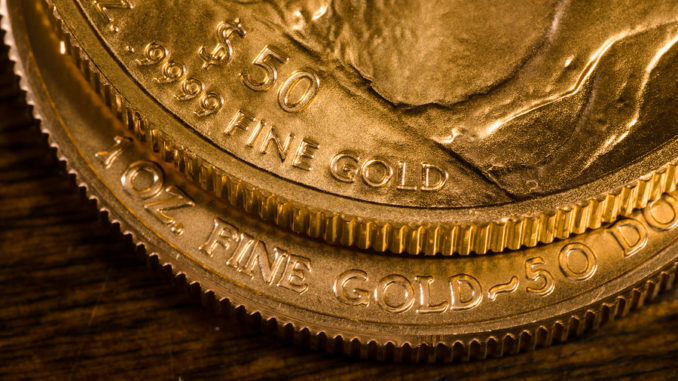 Gold and the U.S. Dollar experienced massive gains, making many investors happy. Then, the Trump menace was fading because of the video tape scandal. Nevertheless, he won, making markets to go mad. Oddly, the gold market didn’t benefit as it supposed, with gold actually falling. Although this was not expected, it still means a great opportunity to buy gold at lower rates in the short term. In short: Yes, it’s a great time to invest in gold.